If you haven’t heard about biohacking, this is essentially a term that describes the use of science, biology and technology to improve one’s health. 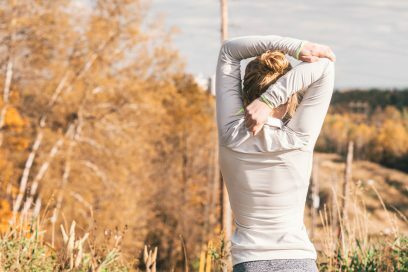 There are some fairly large communities now, particularly in the US, that focus on biohacking and self-quantification, led by individuals such as Ben Greenfield, Quantified Bob, Dave Asprey of Bulletproof, and many others. I’ve been listening to a lot of podcasts over the last few months, and I’ve got quite into the biohacking space. 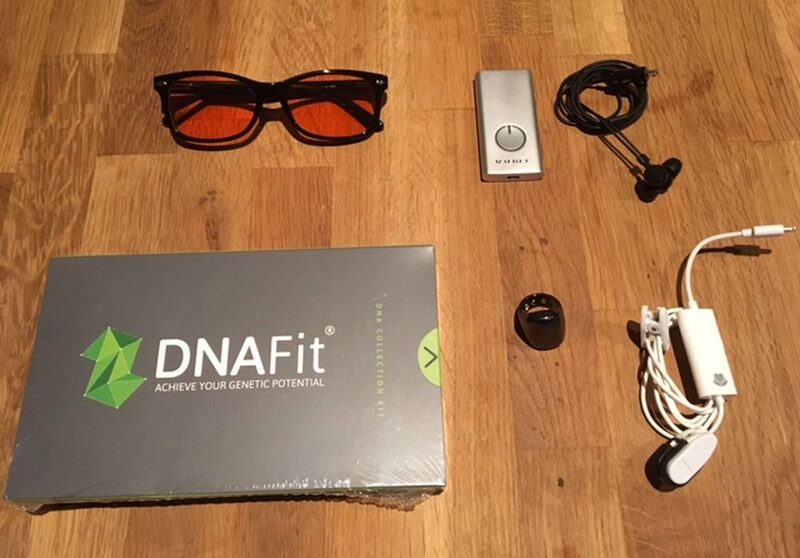 We entered into it two years when we got involved in DNA testing for health, fitness and nutrition, but now we’re looking to incorporate more of the technology into our packages as well as use it ourselves. There are currently five tools or devices I use on a daily basis, and I’m sharing those with you in this week’s blog post. Blue light blocking glasses do just that – they block out the light from things like computer screens, smartphones and tablets. There are many different colours in the light we are surrounded by, and they each have different effects. Blue light is good during the day because it boosts attention, reactions and mood, but at night we want to be winding down from those feelings. Blue light not only stimulates our brain when we want to be relaxing, but it also negatively impacts our circadian rhythms by suppressing the hormone melatonin which helps to prepare us for sleep. Part of a good night-time routine should include a cut-off from screen time, but if you do have to use your devices, wearing these blue light blocking glasses will filter out the blue light for you. The Human Charger is a Finnish product, designed (and medically approved) to help with jetlag and seasonally affective disorder (SAD). It works by shining UV-free white light into the brain via the ear canal, and there is a lot of science that backs up the efficacy of the device. I intend to use it on the mornings when I have to be up early and it’s still dark – a one-off 12-minute dose will help awaken body and stimulate it in the same way natural daylight would. It’s ideal for anyone who doesn’t get much natural light, whether that’s a busy executive, or someone who lives in a country that has very little daylight during the winter months (like Finland). If you suffer from SAD or travel a lot, try this device out and see what improvements it can make. HeartMath is relatively new to me but I went to a workshop on Saturday and had the chance to play around with their techniques and the supporting technology. The basic principles behind it are around breathing, and their techniques encourage you to breathe more deeply and build resilience (defined as “the ability to prepare for, recover from and adapt to stress, adversity and challenge.” The Inner Balance device also records your Heart Rate Variability (also known as HRV – the inter-beat interval) which is a strong indicator of health, or more specifically recovery, emotional load and physiological stress. The OURAring is an innovative piece of wearable tech that helps you understand how your lifestyle choices affect your sleep, and therefore your daily performance. Whilst you sleep, the ring tracks your heart rate, respiratory rate, body temperature and movement. During the day, it monitors your activity and inactivity, distance travelled and number of steps, and your total calories expenditure. At night, it collects sleep data (it’s the most accurate sleep monitor on the market). When you download the data to your smartphone in the morning, it sends you personalised, actionable insights to help you plan your day and maximise performance. DNA testing for diet and fitness removes all the guesswork from your health, fitness and nutrition choices. It’s a simple, non-invasive oral swab test that tells you the ideal diet type and best type of exercise for you based on your unique DNA. Many of us are eating a diet that’s not ideally suited to our bodies, and this can cause problems with weight management, energy, sleep, digestion and mental health (stress, anxiety, depression). The test cuts through all the noise and helps you make informed decisions. It also tells you the best type of exercise so you can avoid the trial and error and get the best results you can, quickly. 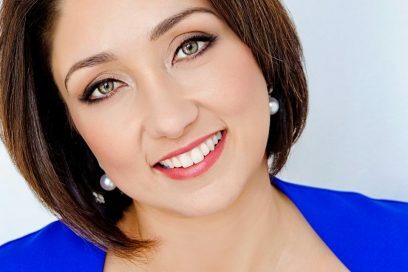 Leanne Spencer is a fitness entrepreneur, TEDx Speaker, author of Remove the Guesswork: the highly personalised approach to health, fitness and nutrition that puts you first, and founder of Bodyshot Performance Limited. 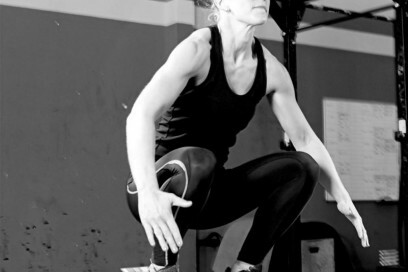 Bodyshot is a health and fitness consultancy that uses innovative techniques such as DNA testing, wearable tech, biohacks and bespoke coaching to transform the lives of our clients. Visit www.bodyshotperformance.com or send an email to info@bodyshotperformance.com for more information or to register your interest in our services.